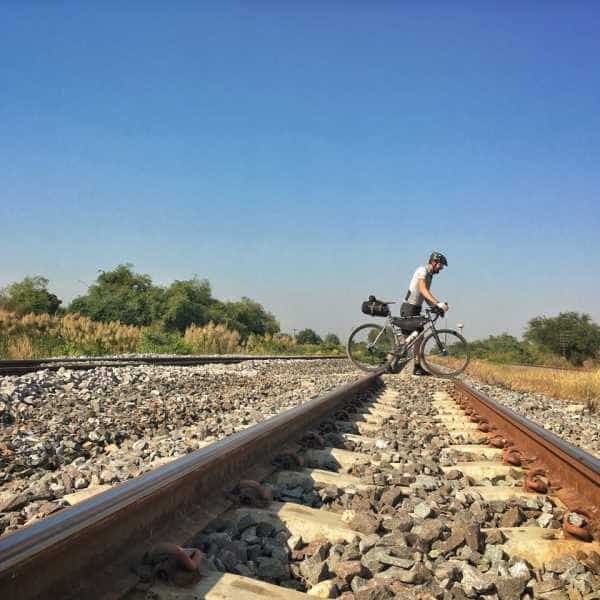 This is a tour conceived from a personal passion for travelling through Thailand on the road less travelled and often unsealed, on a fat tyre bicycle with dropped handlebars and real-world gearing. 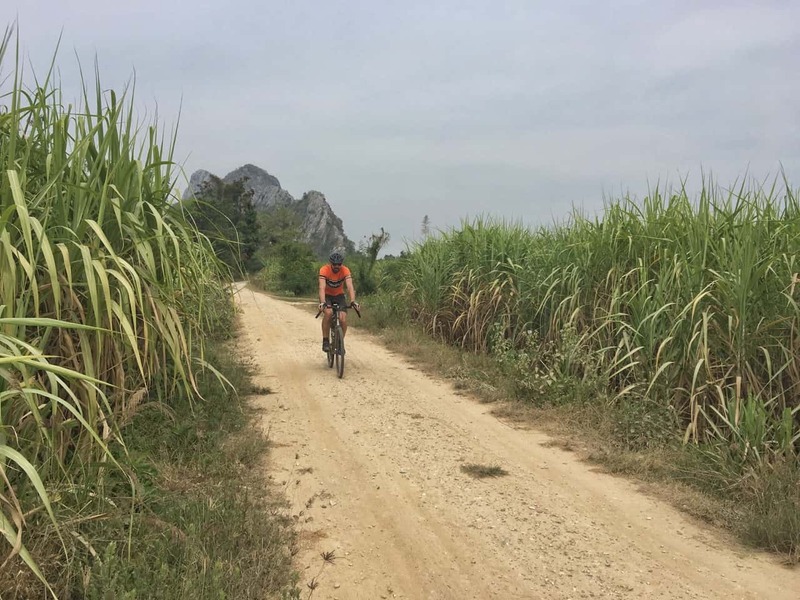 With the rapidly increasing interest in this sort of bike and this style of riding PaintedRoads realised that the time had come to introduce our fellow cyclists to the world of Asian adventure cycling, and the road less travelled. The very nature of this tour is one of flux. 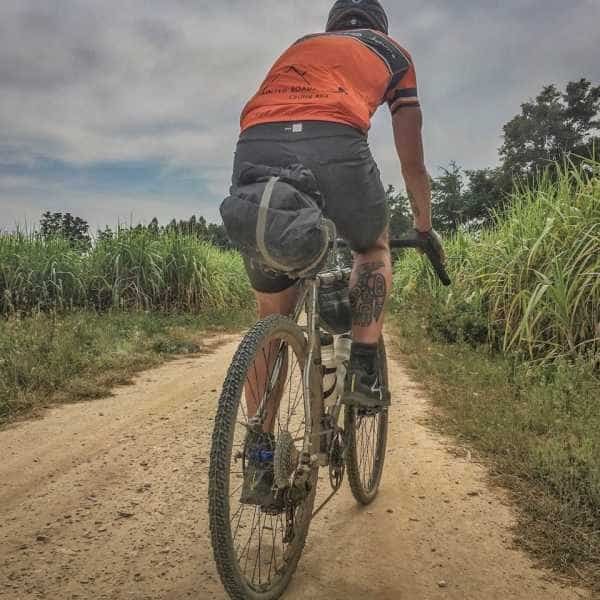 As time goes by dirt roads become gravel, gravel roads become surfaced, old trails are dug over to plant rice, new tracks appear, and in the unlikely event of rain, some unsealed sections can quickly become too muddy to ride. For these reasons all distances given are approximate, some days may be shorter, some longer, some may have more unsealed roads, some may have less, and the route may at times need to be altered to take present conditions into account. 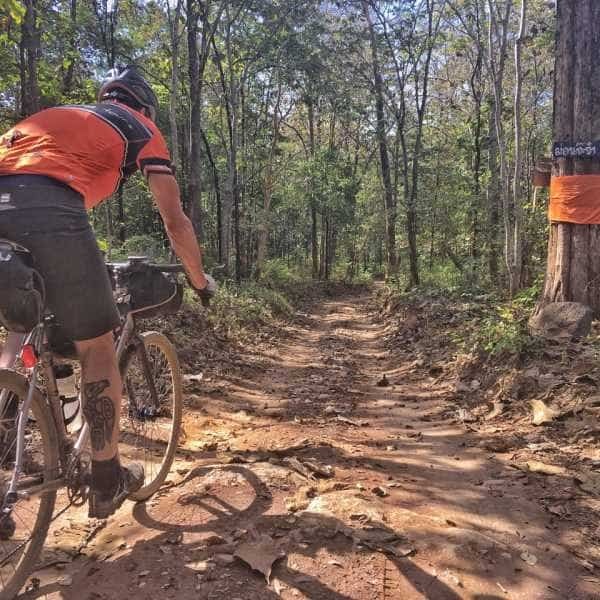 The tour has been designed with approximately 50% of the riding time on unsealed byways, but this is to be seen as a guide, not an accurate scientific measurement. Our journey begins in Chiang Rai and visits two previous national capitals, our rest day town Sukhothai, and our ultimate destination Ayuthaya. 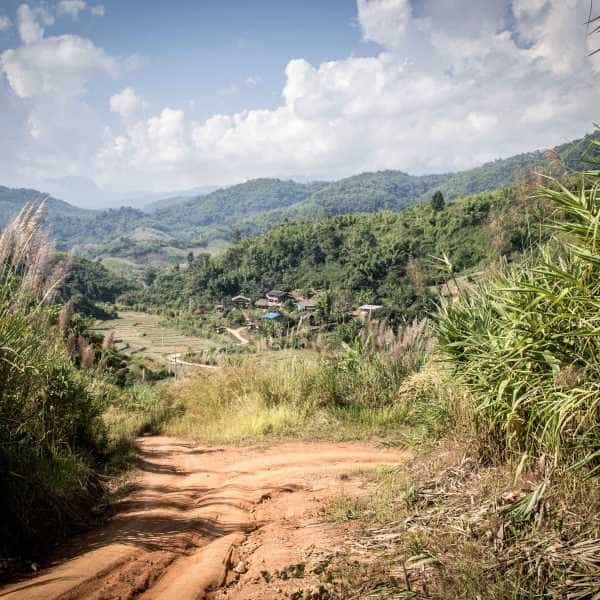 These are all considered highlights by regular travels and are indeed well worth visiting, but for us, the real highlight of this tour is exploring unseen Thailand. 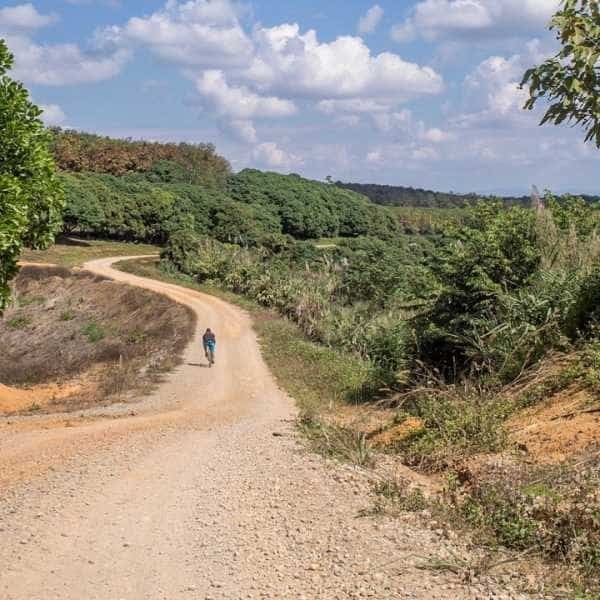 It's a Thailand where few foreigners venture and the ever friendly locals are delighted to meet real travellers with a genuine interest in their land far beyond the beaches and bars of the tourist hotspots. 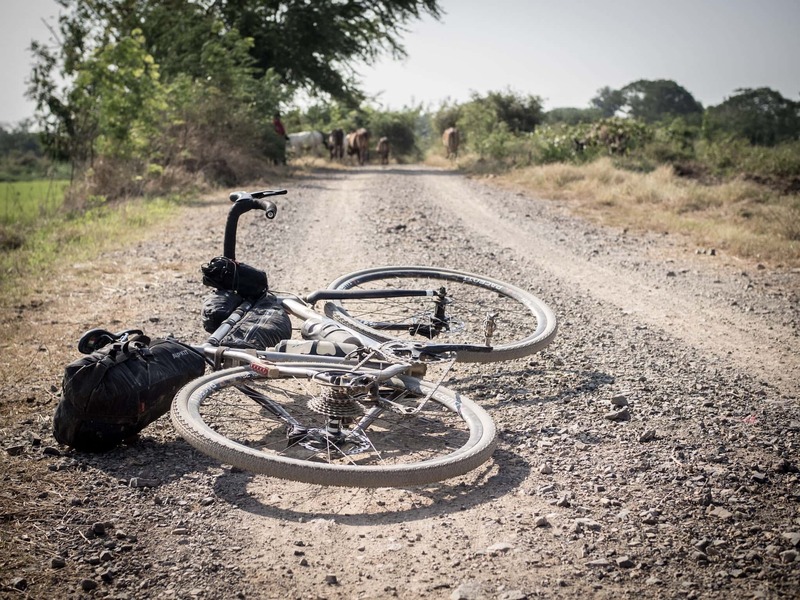 All accommodation, local guide, meals on cycling days, snacks during cycling days, and drinking water whilst cycling. We will be supported by a service vehicle that will carry our luggage. Unlike other tours, the nature of this tour's route prevents the vehicle following us for a lot of the time. We will meet up with the vehicle throughout the day and at such times we will have access to our luggage, and anyone in need of a transfer will be able to hop in. As with all PaintedRoads tour, this ride will be accompanied by David. All accommodation has air-conditioned rooms and en-suite bathrooms in guest-houses and hotels picked with location, comfort, and character in mind. 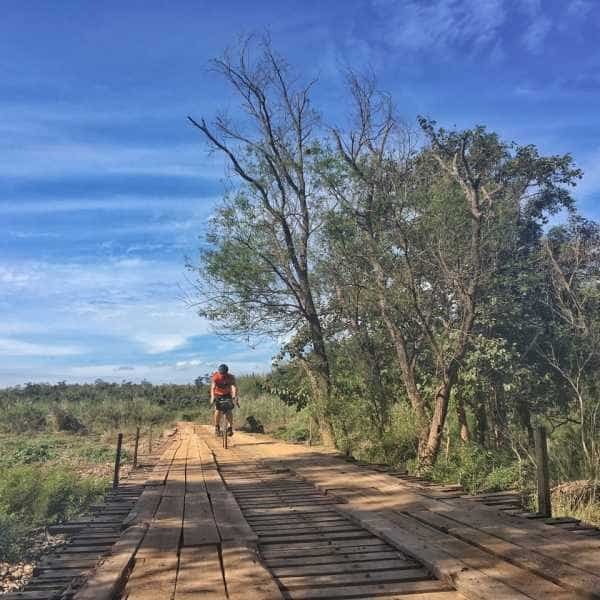 Due to the nature of the riding a support vehicle following our route at a discrete distance is not only unpractical but beyond the spirit of a route designed to take us on a route light of, and at times free of, motorised traffic. We will, however, have a service vehicle accompanying us for the duration of the tour. The vehicle will carry our luggage, snacks, water, spares, and tools. It will usually be no more than half an hour away, and we will generally meet the vehicle every thirty kilometres or so for breaks. 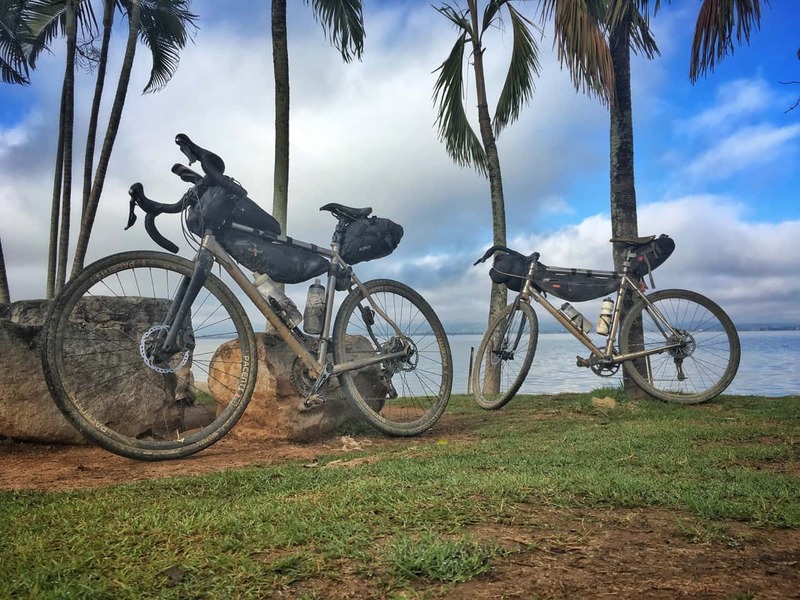 The vehicle is equipped to carry several group members and their bikes at a time and will be able to meet us in an emergency at most points on the tour within a reasonable amount of time. In the very unlikely case that we all need to transfer we will make necessary arrangements at the time. The tour begins in the city of Chiang Rai (airport code CEI). You will be met at the airport on arrival and taken to our joining hotel where you will be met by your tour leader. 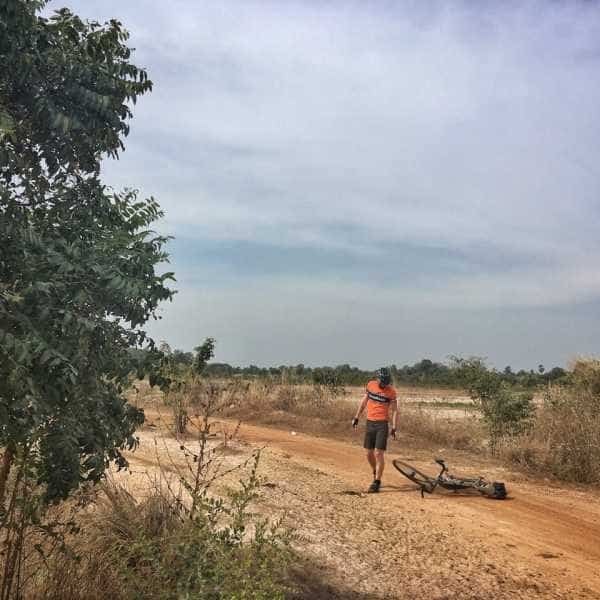 The tour ends in Ayuthaya, 80 kilometres north of Bangkok. On the final day of the tour, we will arrange a group transfer for those wishing to travel on to Bangkok, either to a hotel or airport. We are happy to help with booking extra nights in either Bangkok or Ayuthaya. All of whom have services to Chiang Rai via Bangkok's Suvarnabhumi airport. 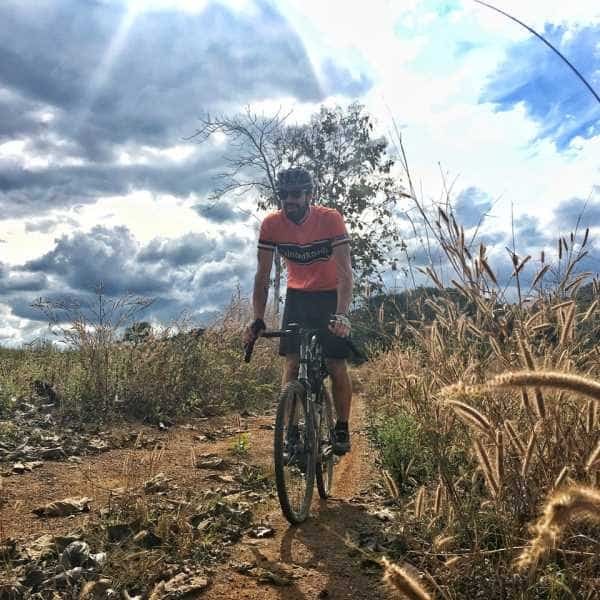 It's a ride with reasonably long days in the saddle and an average daily distance in excess of 100 kilometres. The early days have a few notable climbs, and day six presents a few gradients rearing up on occasion to nearly 30%! 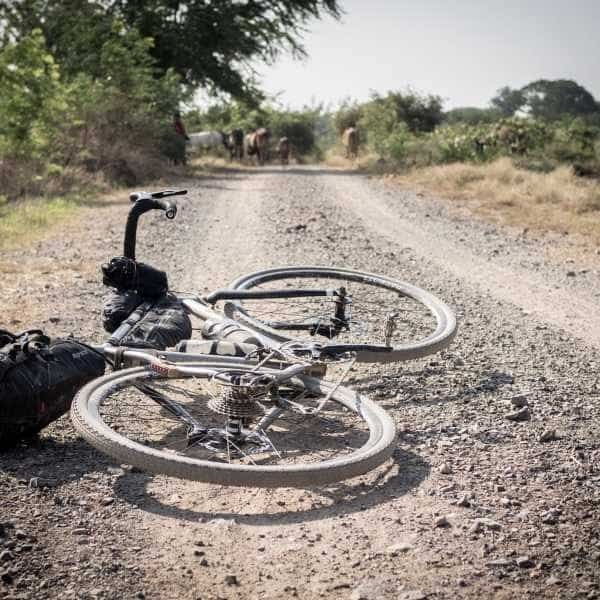 Day six also has an unavoidable ten kilometres of busy highway, although it does thankfully have a good wide shoulder, and for those wishing to avoid this, we have a support vehicle. Otherwise, the cycling is on quiet byways and unsealed trails, and once past the rest day, the going is generally flat. 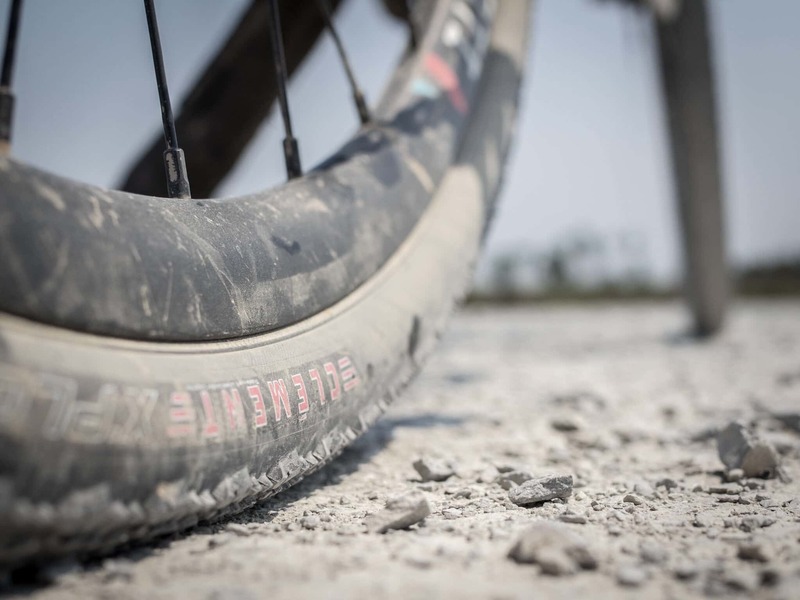 The cycling time is split approximately 50/50 between sealed and unsealed roads. 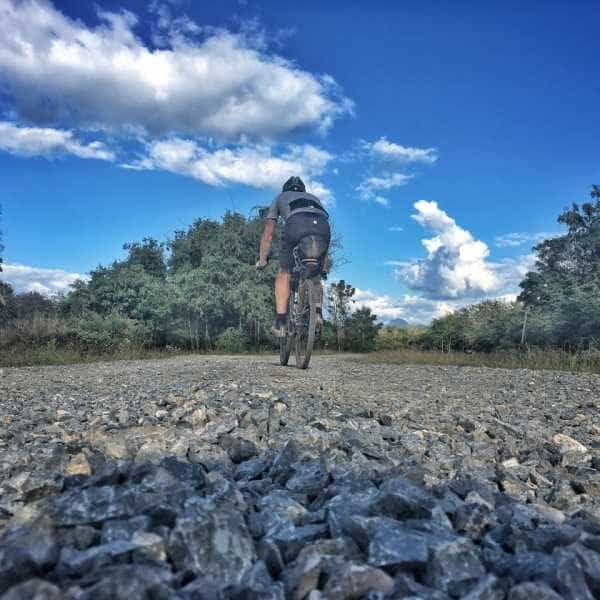 The emphasis is on unsealed roads, not mountain biking routes, and technical mountain bike skills are not required. However, it is necessary to have a degree of experience and competence riding on loose and uneven surfaces. The tour will run from north to south to hopefully take advantage of the predominantly northeasterly winds at this time of year. Please do keep in mind that 100kms of gravel roads takes noticeably more toll on one that 100kms of bitumen. 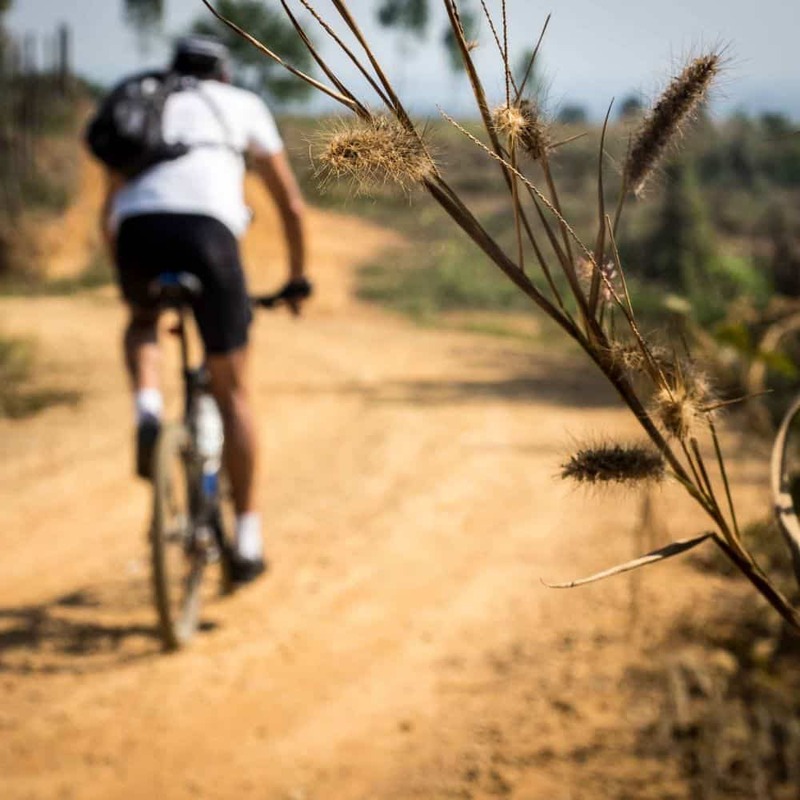 At PaintedRoads we hold firmly to the opinion that using your own bike, the bike on which you feel at home and comfortable, is the finest way to enjoy a cycling adventure. 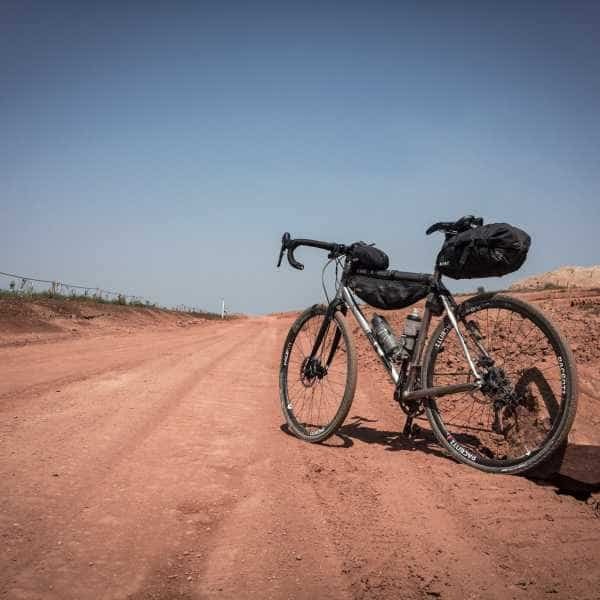 PaintedRoads tours have always been explored on and designed around, what are now known as adventure and gravel bikes, and such bikes are absolutely ideal for this tour. 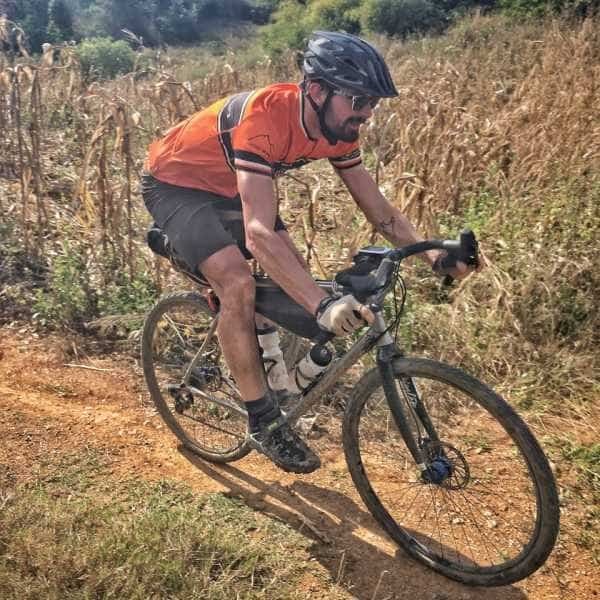 Cross country mountain bikes and touring bikes are also suitable, but with so much riding on unsealed roads, we do not recommend tyres any less than 35mm on 700c wheels, 45mm on 650b wheels, and 2" on 26" wheels. 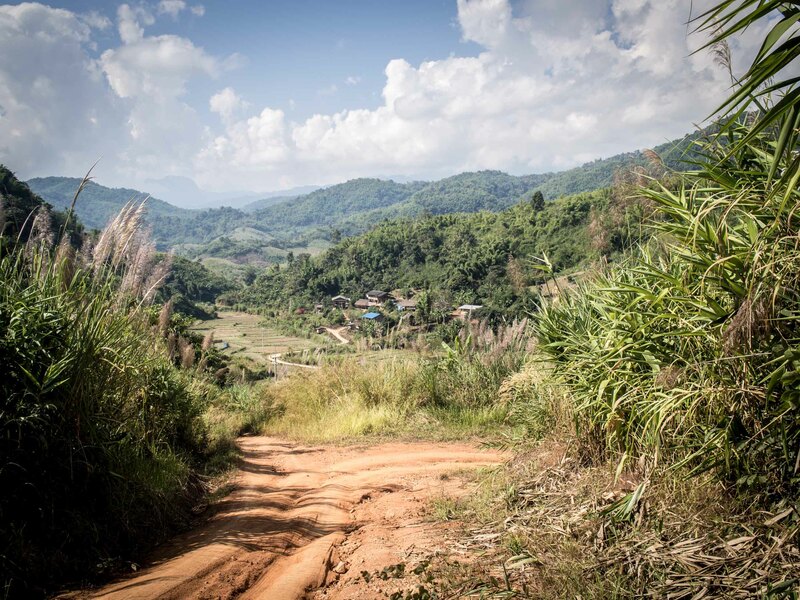 Please also be aware that Thai hills can be short and steep. Gearing for high speeds on the flat is not necessary, gearing from getting up a steep or long gradient is. Ideal gravel/adventure gearing is a 30/46 crankset and an 11-36 or even 11-40 cassette. If using a 10-42 1X setup we recommend a 38 or 36 tooth chainring. Due to the nature of the route our support vehicle will often not be able to follow us. 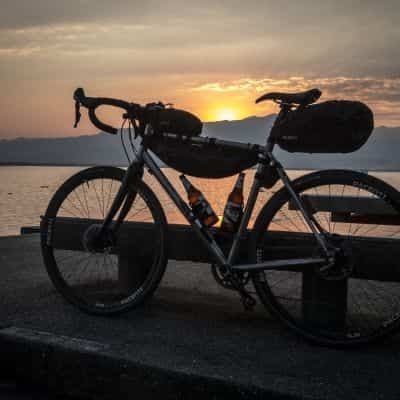 It will meet us from time to time during the day, but you will need to be able to carry anything you may need whilst riding, such as water, snacks, camera, spare tube, etc. 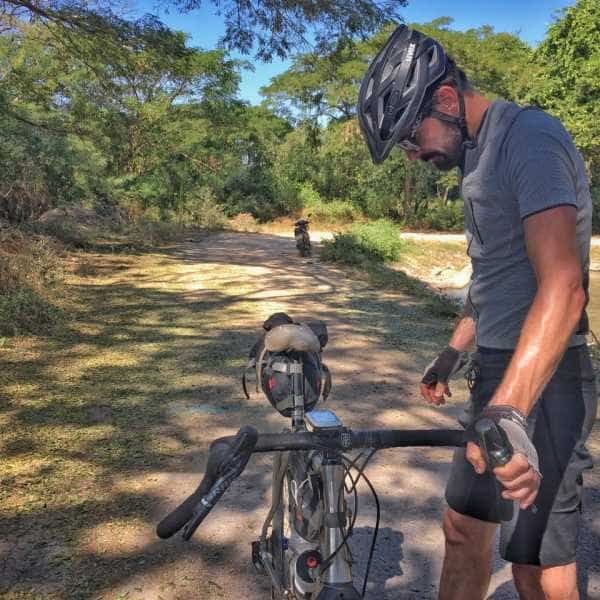 A small backpack, a frame bag, saddle bag, or handlebar bag will all suffice. ESSENTIAL! Please be sure that your bicycle is in perfect condition before you leave home. Please be sure to bring bike specific spares such as a few spokes, a couple of inner tubes, a spare tyre, brake pads, rear derailleur hanger. If in any doubt please consult your local bike shop. 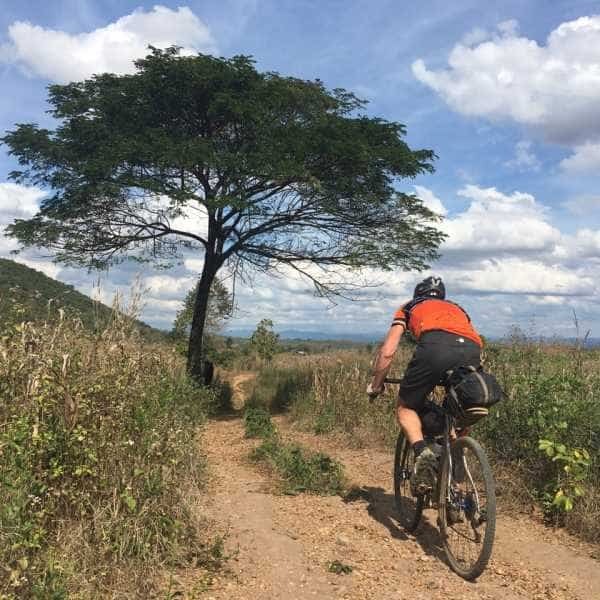 Rental Bikes: If you wish to hire a bicycle we can arrange for the hire of good quality cycles from our in-country agent. Typically these bikes are mountain bikes, often Trek 3 series or similar. Arriving at Chiang Rai international airport you will be met by a driver and transferred to our centrally located poolside hotel. 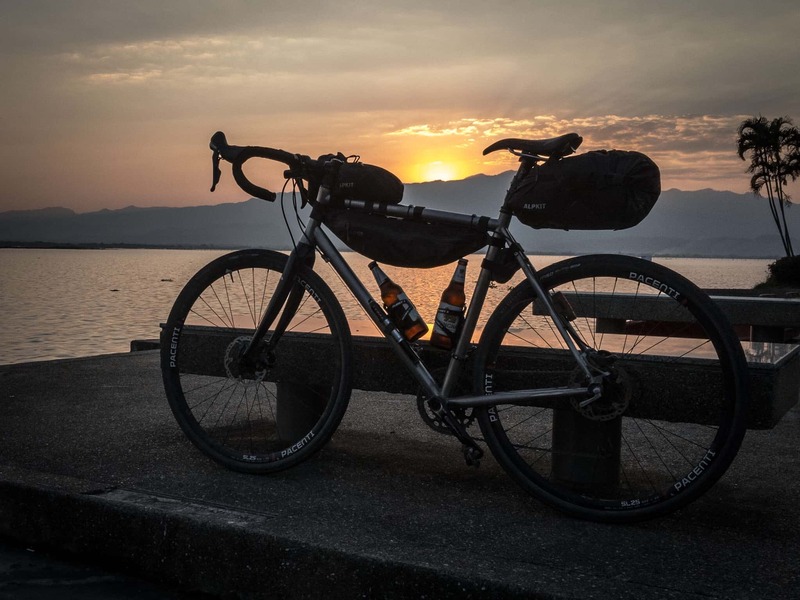 Again a day where more than half of our time will be spent exploring the network of unsealed roads, track and trails en-route to the pleasant town of Phayao which sits on the shore of a large lake, an ideal spot to relax with a post-ride beer and watch the sunset. 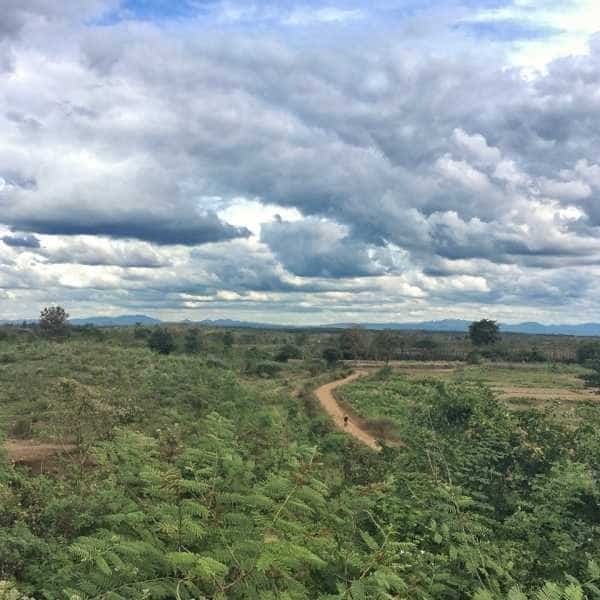 Day 4: Phayao to Chiang Muan. 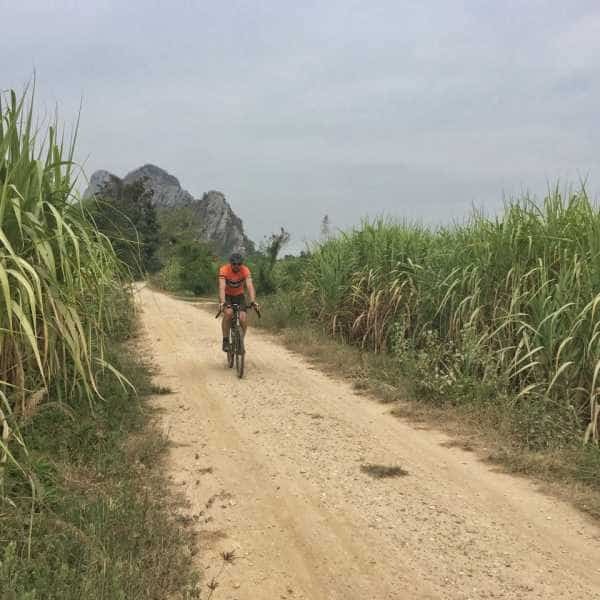 Twenty minutes of main road lead us from Phayao lake to a splendid mixture of byways and gravel roads winding and undulating gently through ever hillier scenery. 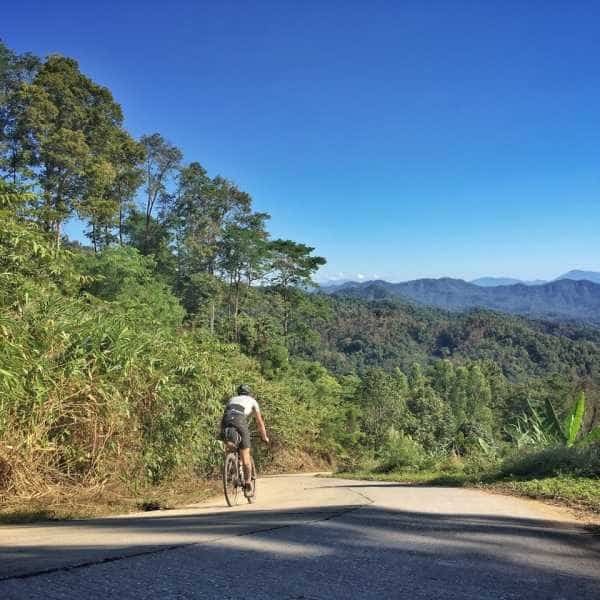 At around the halfway point, we join a well surfaces main road, light of traffic, that leads us through a winding section of gentle hills to the fitting crescendo of a lovely twisty winding seven-kilometre descent to lunch. 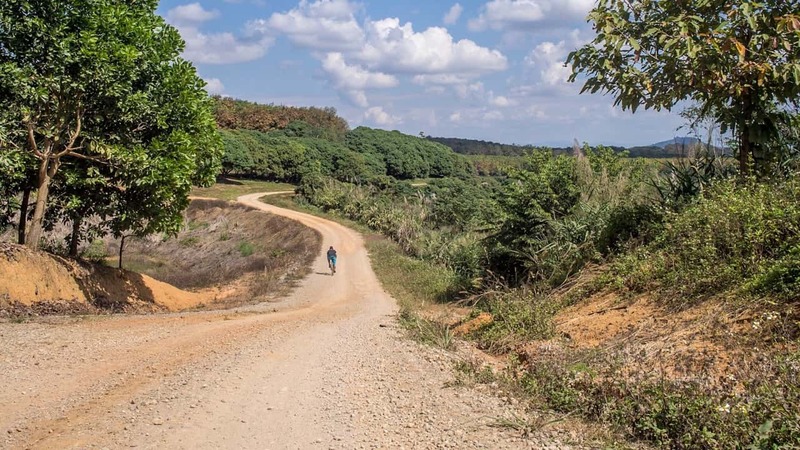 The final ten kilometres of the day is a backcountry gravel road, winding through open hills and woodland to the sleepy, friendly little town of Chiang Muan. 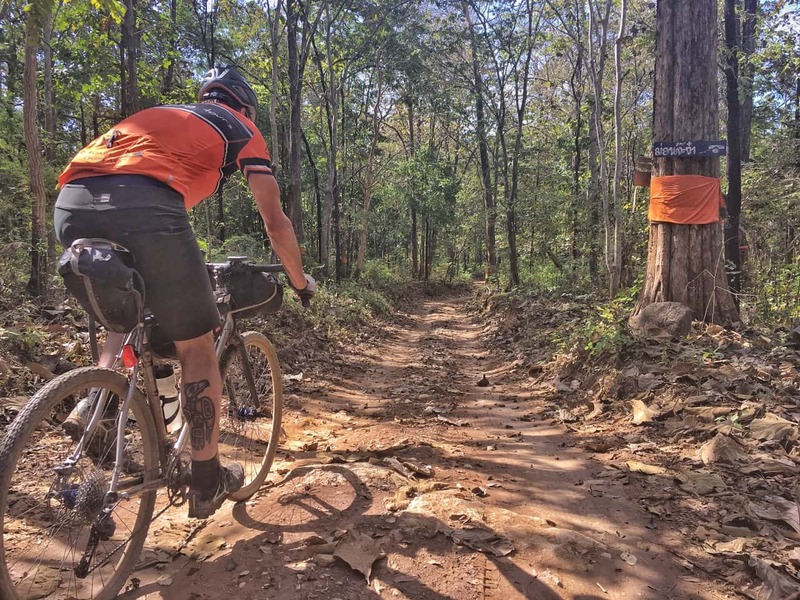 Day 5: Chiang Muan to Phrae. One of the largest towns of the tour, our destination for today is the provincial capital of Phrae. A well sealed but quiet main road begins our day via two notable climbs (and of course descents) through beautiful mountain scenery. Before we reach our lunch stop though we will once more be navigating a cross country route on dusty trails and deserted bitumen as we wend our way towards the city. 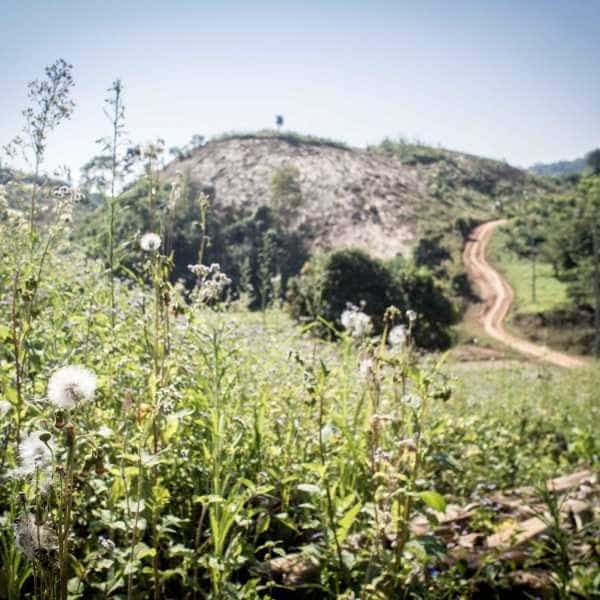 Day 6: Phrae to Na Ton Chan. 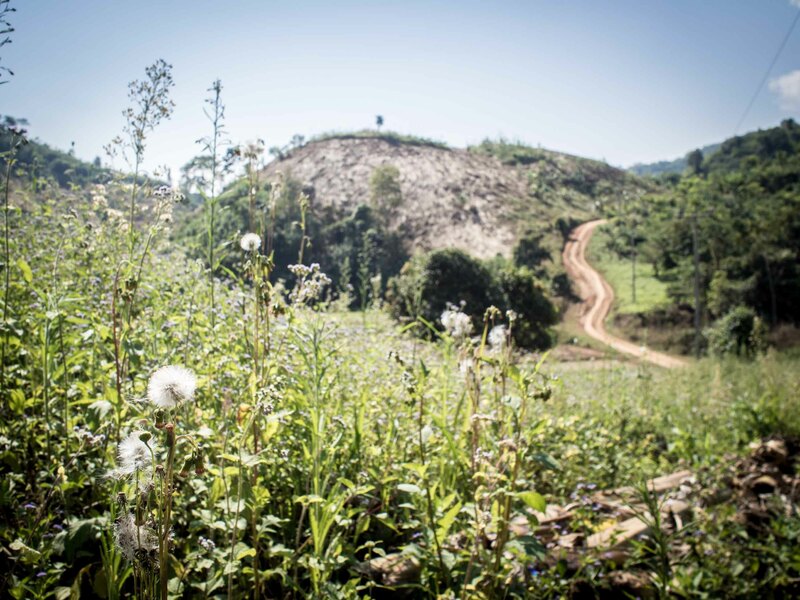 Another long day lay ahead of us with a couple of climbs likely to leave even the most seasoned climbers huffing and puffing with wobbly legs. 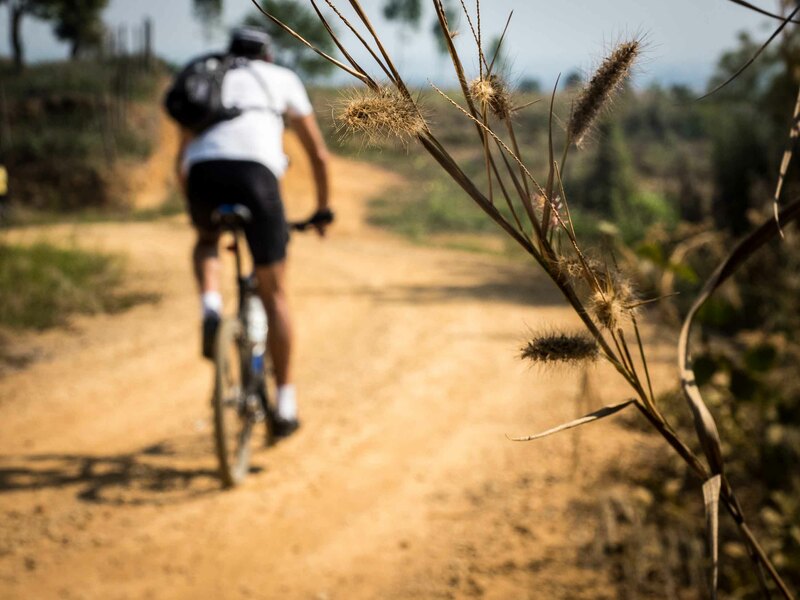 Although the majority of the day is on sealed roads we begin with some fast fun and dusty gravel. 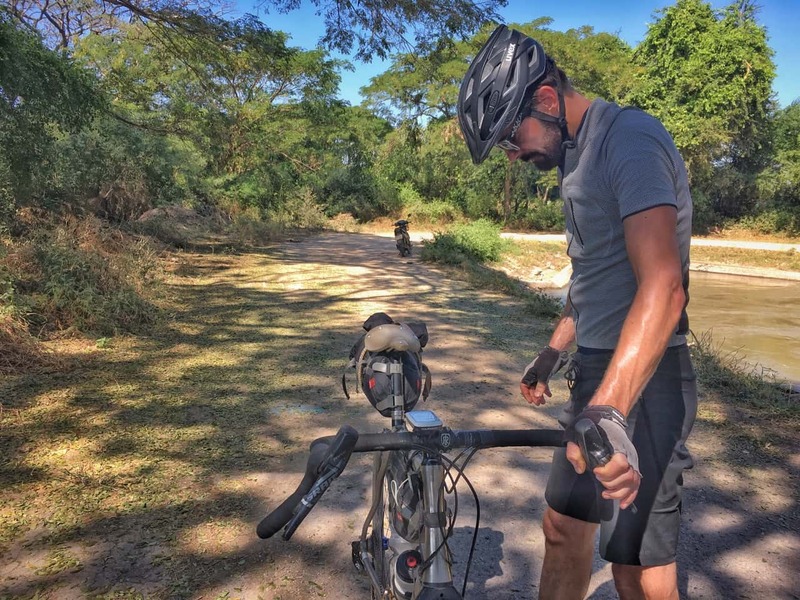 After 40 such kilometres, we come to an unavoidable section of busy highway where we gain 150 metres in altitude over a gentle ten kilometres of climbing. Fortunately, the road here has a wide shoulder making the riding a lot more pleasant than may otherwise have been the case. Leaving the busiest road of the entire tour behind us the remainder of the day’s ride is through a beautiful rural landscape. Although we have several stretches of unsealed trails the majority of the ride is on quiet rural bitumen and concrete byways. It is here that we experience the most extreme Thai style gradients of the entire tour with one climb gaining 250 metres in just two kilometres, but what goes up must come down, and we finish with a beautiful 26 kilometres of predominantly downhill rural riding that leads us to the poolside guest house of Heinz, where we can relax with a well deserved chilled beer. 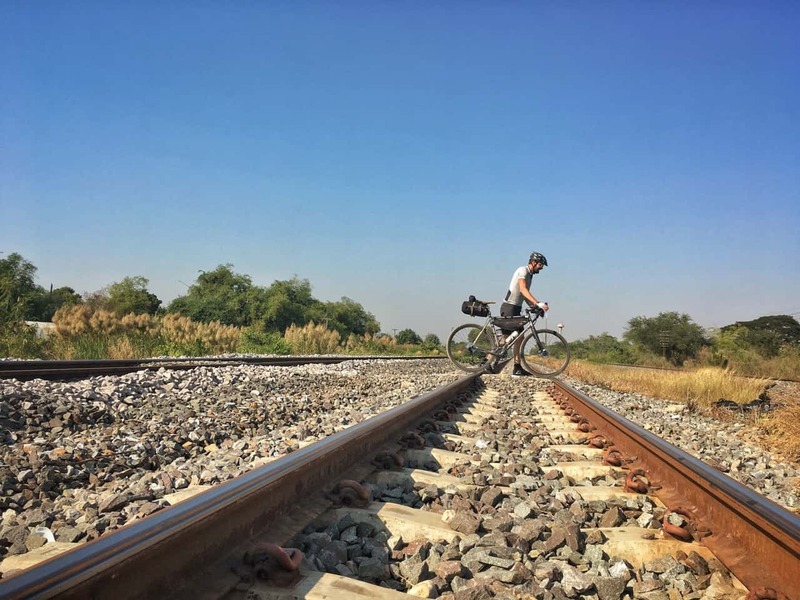 Day 7: Na Ton Chan to Sukhothai. We leave our poolside guesthouse on a quiet rural road, and within half a dozen kilometres we are on a fast sweeping red gravel road. 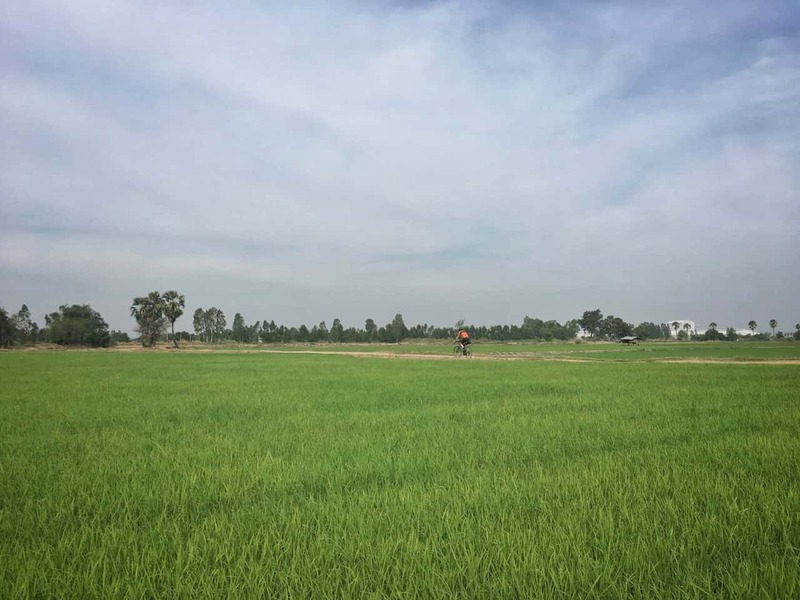 We have now left the hills behind us and our journey ahead is across flat agricultural land with fifty per cent of the ride on gravel roads and the lion’s share of the rest being quiet byways and concrete lanes which lead us riverside riding and through a historic park. Our destination for the day is a luxury resort where we can cool off in the pool. Day 8: Sukhothai Old Town - Rest Day. With 600 kilometres behind us, a rest day is now well deserved. 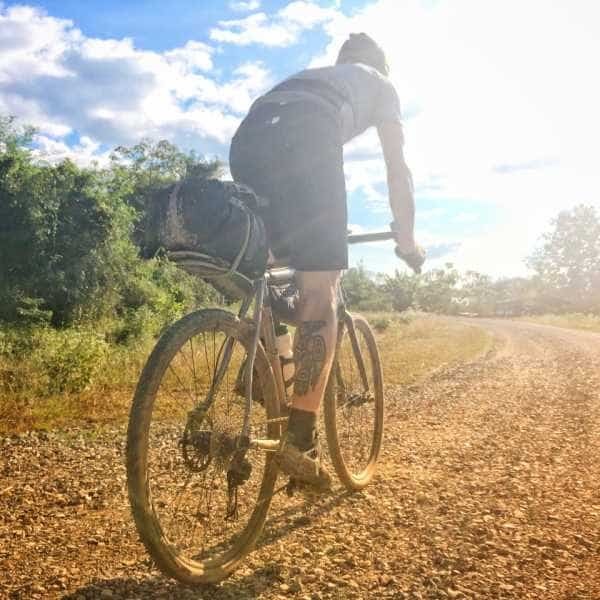 Whilst far from the party hotspot your friends may rave about after a trip to Thailand’s beaches, Sukhothai Old Town does offer the little luxuries a gravel rider will by now perhaps be hoping for. Our resort offers a selection of relaxing massages at the spa, whilst the town has several simple tourist minded restaurants and cafes. For those keen to explore the major attraction there are the ancient ruins of this former capital of Siam, set amidst a tranquil park of shade trees. And of course, for those keen to relax in the time-honoured manner of the gravel rider, ice cold beers by the hotel pool are always available. Day 9: Sukhothai Old Town to Khlong Khulung. Hopefully well rested and refuelled following a day of relaxation you will by now be eager to stretch your legs. 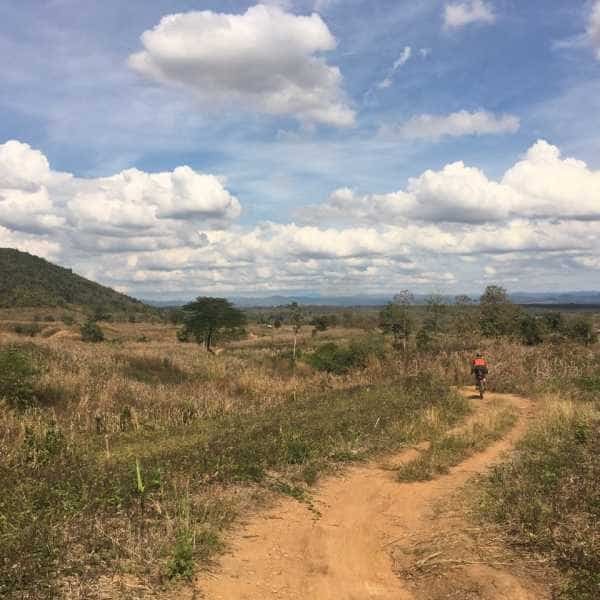 For well over 50% of our ride today we will be on unsealed tracks, mostly smooth and hard packed but occasionally dusty with a few bumps to add to the fun. And once again even when the roads are sealed the surface is often concrete, where small motorcycles and tractors outnumber cars. We overnight in a small town on the banks of the Ping River, in a simple but comfortable little motel with AC bungalows. Day 10: Khlong Khulung to Nakhon Sawan. 100KMS. 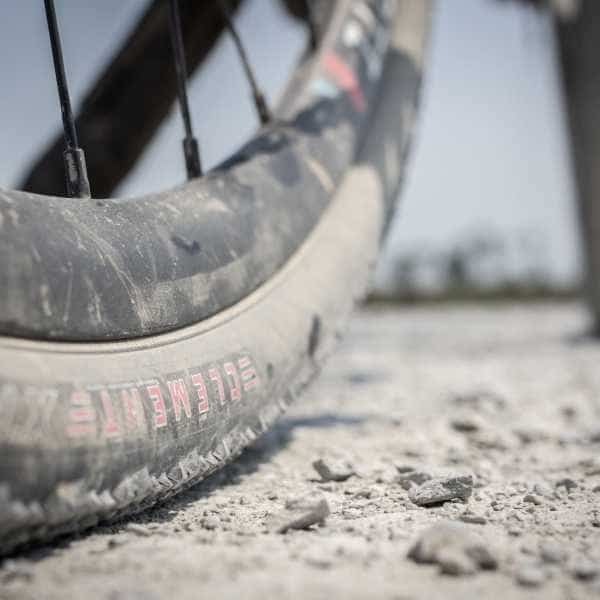 Red gravel, strada bianca, concrete lanes, a few dusty dirt roads, and a little blacktop make up today’s variety of surfaces. 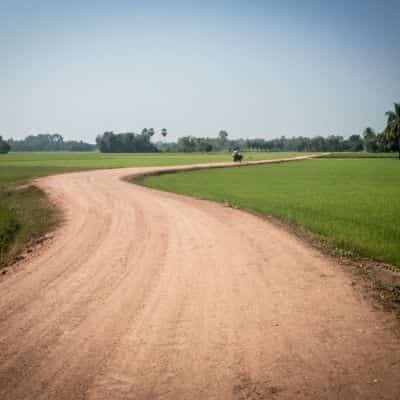 More than half of our time today will be on unsealed roads following rivers and streams and crossing rice fields where birds wade, buffalo wallow, and mango, banana, coconut, and cashew all grow wild. 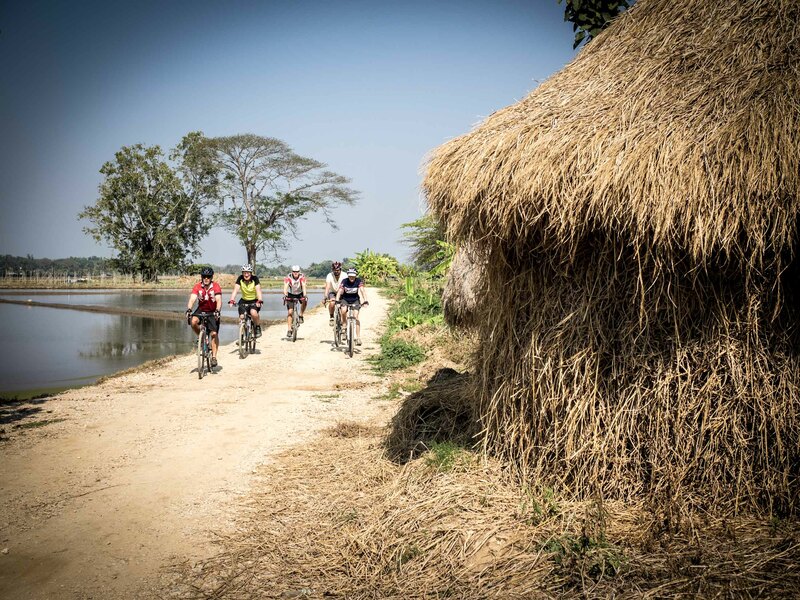 We end the day’s ride following the Ping River along quiet lanes winding through friendly riverside communities. 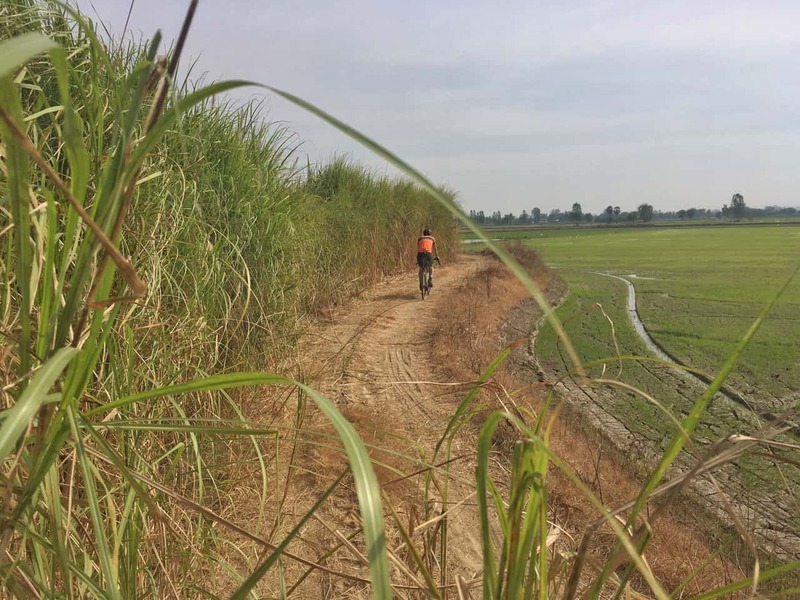 Day 11: Nakhon Sawan to In Buri. Today is an even split between sealed byways and unsealed gravel roads, with the sealed roads as always being very light of traffic. 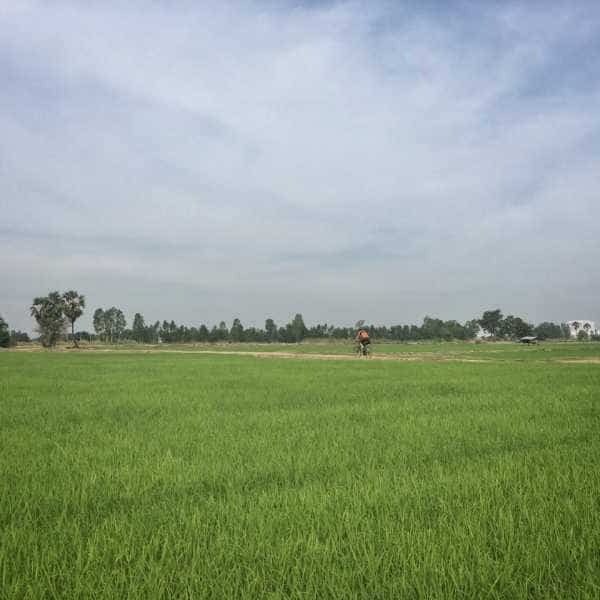 We are now crossing vast areas of agricultural land where rice and sugar cane are the major arable crops, whilst small farms raise the huge cattle common to the region. 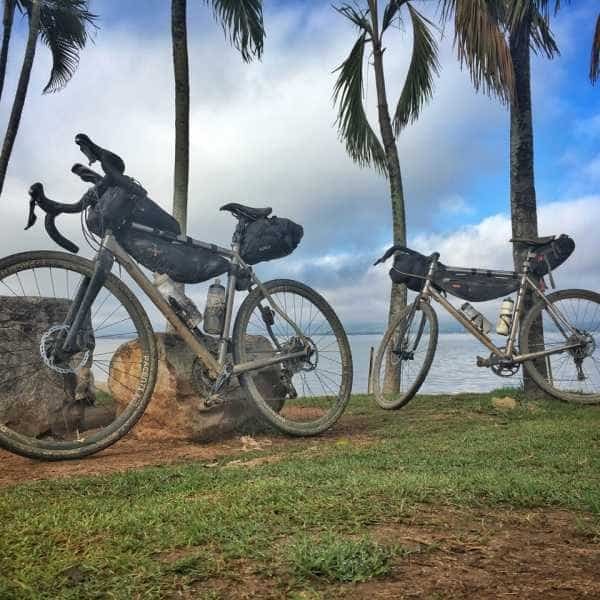 As we approach our rustic accommodation for the night we pass through small freshwater fishing communities, where, surprised to encounter foreign cyclists, the friendly fishermen and their kin are quick with a cheery greeting. 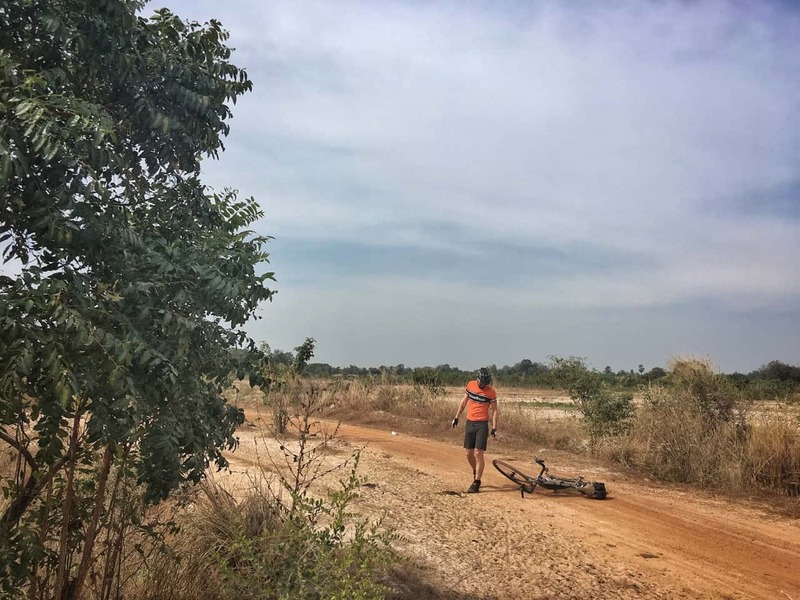 Day 12: In Buri to Ayuthaya. Our final day on the road is split quite equally between gravel and minor byways. 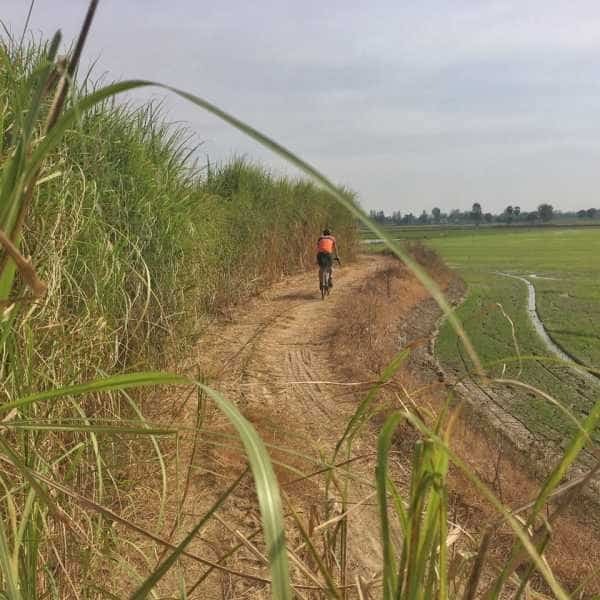 The majority of the ride is blissfully bereft of traffic as we cross agricultural lands and follow canals, often times on leafy lanes. Palaeontologists will no doubt be excited to see the large dinosaur-like lizards that often cross our paths and bathe in the sun next to the canals. 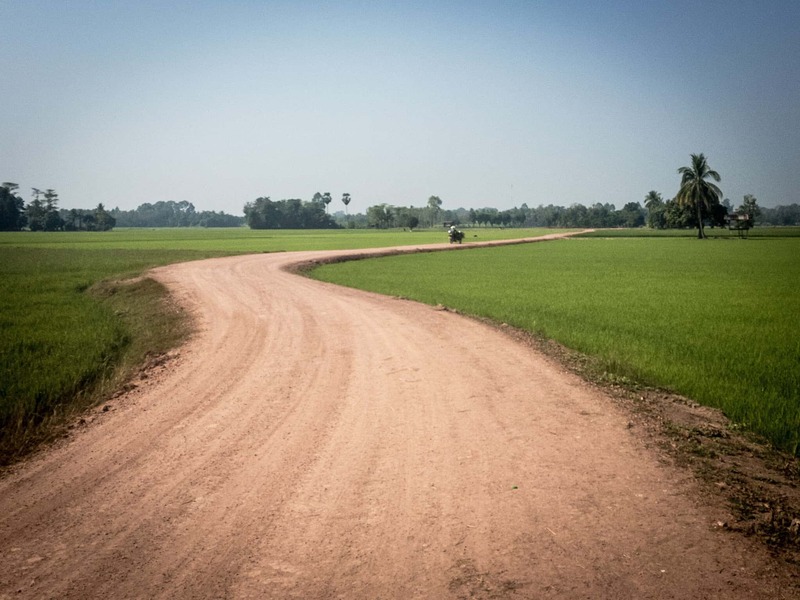 The final stretch into Ayuthaya takes us on roads little more than bicycle lanes as we pass through interesting small communities leading to the beautiful ancient architecture of the erstwhile capital of the kingdom of Siam. The tour ends today after breakfast. Ayuthaya is a pleasant little town with many ancient ruins spread amongst the trees and grass areas all within easy reach of our resort and for some may be worth a day or two of exploration. For those wishing to spend a day or two here, we can arrange extra nights at our resort. For those wishing to head to Bangkok, we will provide a group transfer taking you to either of the city’s airports or to a hotel in town. We can also assist with where to stay in Bangkok. For those staying on in Ayuthaya and making their own way to Bangkok later, there is a very convenient train station in Ayuthaya with regular trains that stop at Don Muang Airport en route to the central located Hua Lamphong, Bangkok’s main train station. Don Muang airport home to such convenient and well-priced airlines such as Air Asia and Nok Air. These airlines offer quick, regular and well-priced flights to many great Asian destinations, including Thailand’s famed beach. 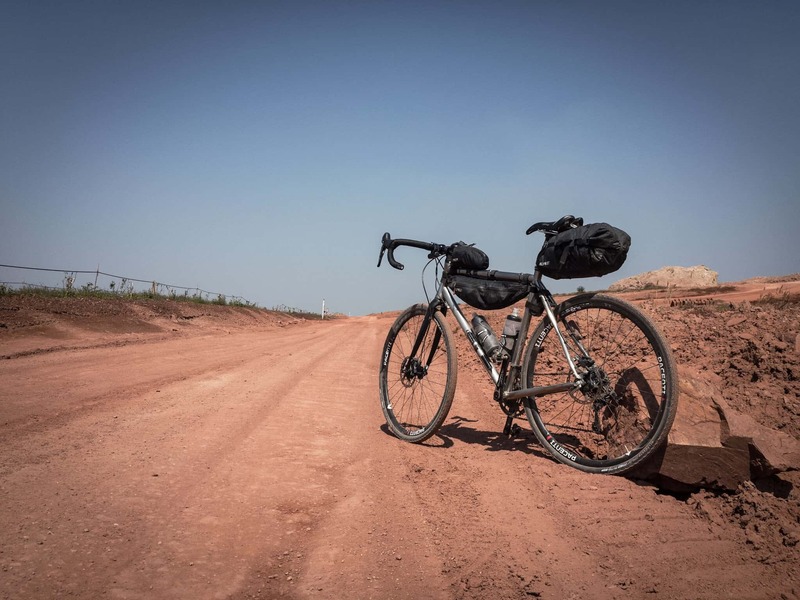 If you wish to hire a bicycle we can arrange for the hire of good quality cycles from our in-country agent. Typically these bikes are mountain bikes, often Trek 3 series or similar.